The difference between average movies and very good ones usually comes down to one word: characters. If the filmmakers can’t make you believe that the people on screen are real, that they have actual emotions and feelings, and if you don’t care what happens to them, then chances are good that they’re overcompensating with high-concept gimmicks, lame jokes, or special effects. There’s no need for such things in Win Win, a film that’s special because it’s got great characters you can’t help but like and root for. Paul Giamatti stars as Mike, a sad sack New Jersey lawyer, who is struggling to make ends meet. Through some questionable actions, Mike becomes the legal guardian for one of his clients, which nets him $1,500 a month. When the client’s grandson, Kyle (Alex Shaffer), runs away from home, Mike takes him in and lets him practice with the local high school’s wrestling team, for whom Mike is a volunteer coach. Turns out, Kyle is a skilled wrestler, and soon the team’s losing streak is turned around. But will Mike’s changed fortunes last, or will his choices catch up with him? 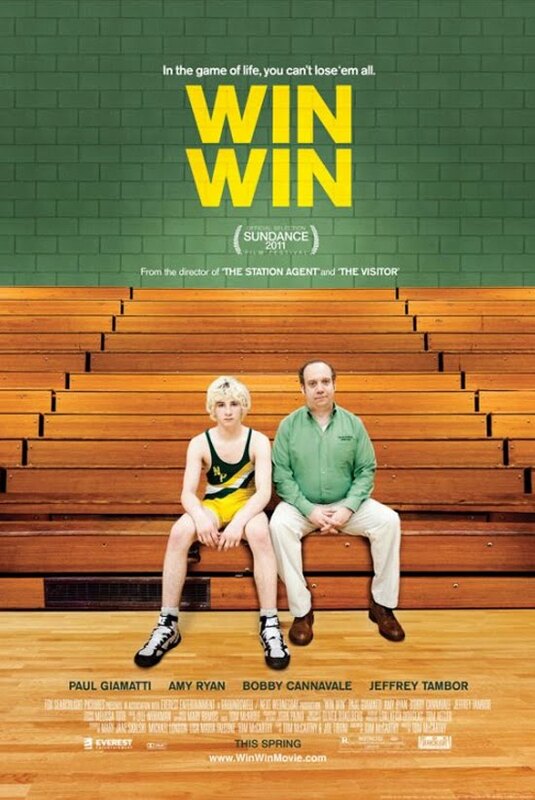 Win Win is just that: It’s a well written, well acted dramedy that rewards the viewer from start to finish. Performances, from Giamatti (playing the type of role he does best), Amy Ryan (as his wife), Bobby Cannavale (earning laughs as Mike’s best friend), and Melanie Lynskey (as Kyle’s drug-addict mother), are all good. And director Thomas McCarthy’s screenplay is authentic and tight. These are characters we know, and who we want to see do well. Thankfully, the movie does right by them, and that’s what makes Win Win a real winner. I’m giving it a B+.